Acupuncture reverses facial paralysis due to Bell’s Palsy. Researchers from the General Hospital of People’s Liberation Army (Beijing) compared two types of acupuncture for the treatment of infranuclear facial paralysis affecting the facial nerve (cranial nerve VII). One treatment protocol achieved a 98% total effective rate and the other acupuncture protocol achieved a 90.7% total effective rate. Based on the data, acupuncture is recommended for the treatment of facial paralysis due to Bell’s Palsy. Infranuclear facial paralysis without a biomedically known etiology is often designated as Bell’s Palsy, which is distinct from infranuclear facial paralysis due to trauma, neoplasms, cerebrovascular infarctions, and facial paralysis that is secondary to diseases including diabetes, amyloidosis, and multiple sclerosis. The researchers note that modern Traditional Chinese Medicine (TCM) sources indicate that Bell’s Palsy involves inflammation of cranial nerve VII affecting regions of the stylomastoid foramen or the facial canal and ancient references indicate Yangming and Shaoyang channel obstruction. Guiding treatment principles are to dredge the channels, expel external pernicious influences, and to improve blood circulation. A macroscopic TCM view indicates that localized stimulation of facial muscles promotes recovery. Let’s take a look at the treatment protocols that achieved clinical success in the study. A total of 93 patients were randomized into two groups, each receiving different acupuncture protocols. The first treatment protocol, achieving a 98% total effective rate, is as follows. The focus was application of acupuncture to local acupoints related to facial expression muscles that were paralyzed. Acupuncture was applied to GB14 (Yangbai) and acupoints within 3 cm. Acupuncture was applied to the orbicularis oculi muscle region. Acupuncture was also applied to SI18 (Quanliao) and ST3 ( Juliao) at the zygomaticus major. The levator labii superioris was needled at EX-HN8 (Shang Yingxiang) and LI20 (Yingxiang). The orbicularis oris muscle was needled at Jiashuigou, MHN18 (Jiachengjiang), and ST4 (Dicang). The needles were inserted superficially and manipulated to enter the muscular layer. Mild reinforcing and attenuating manipulation techniques were used to induce a deqi response. Next, the intensity of a pulsating electroacupuncture current was adjusted until facial muscles were slightly and rhythmically twitching. Only one group of facial muscles were stimulated at a time. The needle retention time was 20 minutes. ST7 (Xiaguan), GB20 (Fengchi), TB17 (Yifeng), and LI4 (Hegu) acupoints were perpendicularly inserted without connection to an electroacupuncture device. For patients with acute mastoiditis pain, TB17 (Yifeng) and GB20 (Fengchi) were added. For patients with severe deviation of the mouth, ST7 (Xiaguan) and LI4 (Hegu) were added. After the arrival of deqi, electroacupuncture was applied with a disperse-dense wave. The electrical intensity was adjusted until slight and rhythmic facial muscle twitching was induced. The needle retention time was 20 minutes. Both groups received treatment once per day, five treatments to complete one course of treatment, with a 2-day break between each course of treatment. In total, the patients received eight courses of treatment. In the above research, both treatment protocols were effective, with the first protocol outperforming the second. Dexamethasone. Intravenously injected, once daily, for 10 consecutive days. Vitamin B12 (0.5 mg), Vitamin B1 (100 mg). Administered through muscle injection, once daily, continuously for 14 consecutive days. Brain glycoside injection fluid (3 ml). Administered through muscle injection, 2 times daily, for 14 consecutive days. In cases of viral infections, the patient was given acyclovir tablets (0.4 g), taken orally 3 times daily, for 10 consecutive days. 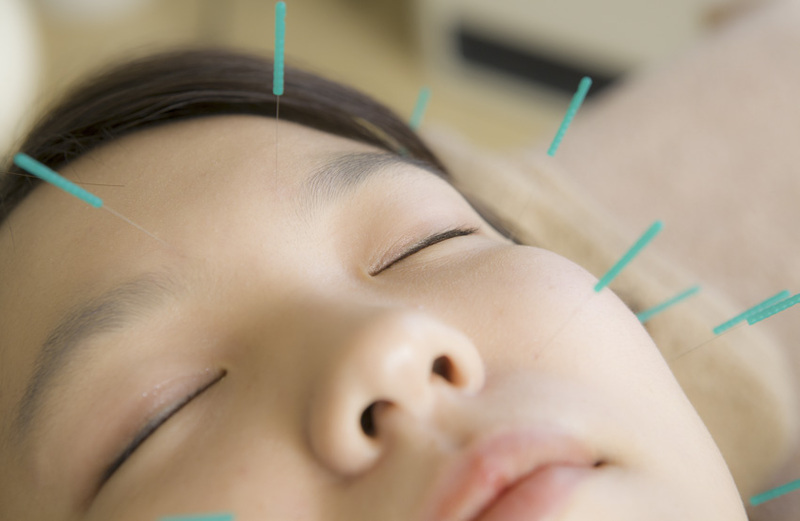 The researchers obtained a 31.25% increase in total treatment efficacy by adding acupuncture and infrared therapy to the medication therapy protocol. In all cases mentioned in this article, patients responded with improved patient outcomes for recovery from facial paralysis. As a result, the researchers from these studies conclude that acupuncture is an appropriate treatment option for patients with facial paralysis. 1. Jiang YB, Feng Y. (2014). Therapeutic Effect of Special Acupuncture in the Treatment of Facial Paralysis. JCAM. 30(1). 2. Chen YC, Qi WL & Kong KM. (2006). Rat Acute Spinal Cord Injury: the Effect of Electroacupuncture on the Level of Nerve Growth Factor and Its Receptor. Chinese Journal of Clinical Rehabilitation. 10(11): 129-131. 3. Wang, X., Jin, T. & Ma, S. L. (2014). Red glow with acupuncture and medication curative effect observation of 96 cases of facial paralysis. Laser Journal. 35 (2).